Can a Democrat win the 3rd District? 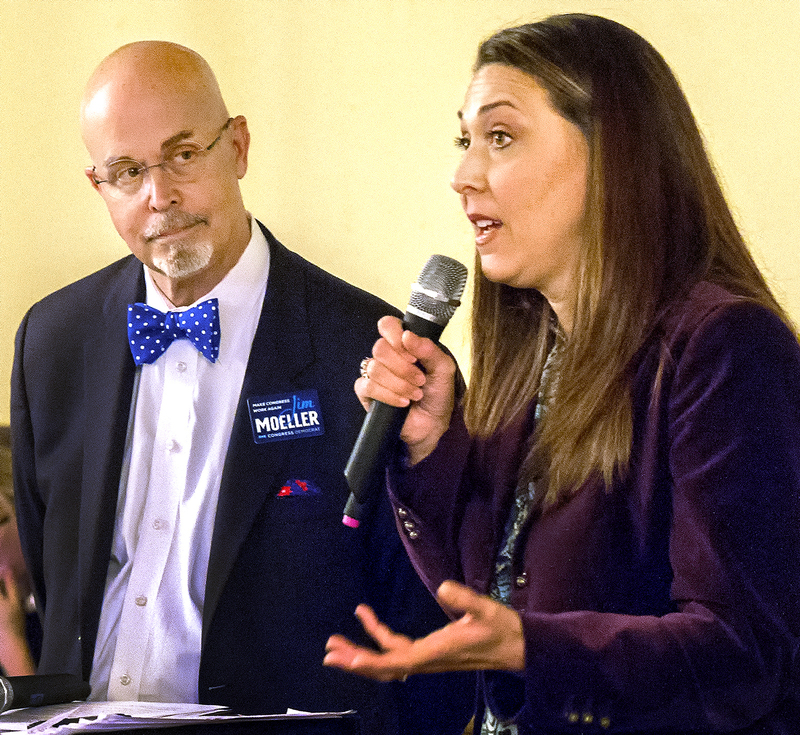 In recent years, Republican U.S. Rep. Jaime Herrera Beutler hasn’t had too much trouble dispatching her opponents to keep her seat in the 3rd Congressional District, but this year she faces state Rep. Jim Moeller, a Democrat who’s built up some name recognition serving the 49th Legislative District. That name recognition is something her previous two challengers lacked, but does Moeller have a chance of winning on Tuesday? “Not a bit,” says Mike Gaston, the former executive director of the local GOP. When redistricting occurred in 2010, Gaston points out that the political landscape changed dramatically in the 3rd District as the heavily-Democratic portion of Thurston County was removed from the district while adding predominantly Republican Klickitat County. Dan Ogden, a longtime local resident who has served as chairman of the Clark County Democratic Party, agreed that the Democratic base took a hit after redistricting. The effects of redistricting can be seen in the election results the past three Congressional elections. In the 2010 election, Democrat Denny Heck took over for Baird and squared off against Herrera Beutler, receiving 35,677 votes from Thurston County compared to 25,878 for Herrera Beutler but that wasn’t enough to offset Herrera Beutler’s 15,000-vote margin in Clark County and another 10,000 in heavily Republican Lewis County. Those margins grew even larger in Clark and Lewis counties in 2012 and 2014 but was that because the Democratic candidates didn’t have the name recognition of someone like Heck, or was it a further shifting of the electorate to the right? One thing is certain: voter turnout didn’t seem to help because Democrat Jon Haugen had a much larger turnout in 2012, a presidential election year, but received 40.6% of the county’s vote. In 2014, Democrat Bob Dingenthal also received 40.6% of the county’s vote. On top of redistricting, the 3rd District’s most populated county has shifted. Jim Moore, a political science professor from Pacific University, says Clark County’s demographics began shifting in the 1980s and ’90s making it more of a Republican-leaning county. That shift culiminated in 1994 with the election of former U.S. Congresswoman Linda Smith to the 3rd District over Democrat Jolene Unsoeld. That shift has left a Democratic stronghold, the state’s 49th Legislative District that Moeller serves, surrounded by the largely Republican-leaning 17th and heavily Republican 18th districts. To take the 3rd District, Moeller will need to pull votes from those outlying districts or neighboring counties.